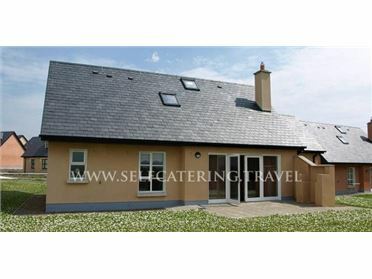 Quay View is a charming terrace cottage situated in the centre of the seaside village of Arthurstown, County Wexford. This cottage sleeps six people in three bedrooms, consisting of one king-size double with en-suite shower and two doubles, as well as a bathroom. The cottage also has a kitchen with dining area with multi-fuel stove and a sitting room with open fire. Outside is roadside parking and an enclosed courtyard with furniture. Quay View is an ideal holiday home for families with plenty to see and do in this part of the Emerald Isle. The small seaside village of Arthurstown in County Wexford offers quaint, colourful houses and friendly pubs. Just two miles away is the picturesque fishing village of Duncannon, which boasts a sandy beach, a couple of pubs and restaurants, and close by are the popular villages of Fethard-on-Sea, Wellingtonbridge and Kilmore Quay. The Hook Head Peninsula, the JFK Arboretum, Dunbrody famine ship and the town of Wexford are well worth a visit. Oil central heating with multi-fuel stove and open fire. Electric oven and hob, microwave, fridge, washing machine, dishwasher, TV with Saorview, Blu-ray, CD/radio, WiFi, selection of books and games. Fuel, power and starter pack for stove and fire inc. in rent. Bed linen and towels inc. in rent. Travel cot and highchair. Roadside parking at front of cottage. Enclosed courtyard with furniture and BBQ. Sorry, no pets and no smoking. Shop and pub 1 mins walk. Hotel with restaurant 10 mins walk. Petrol station with small shop 5 mins walk. Coast 1 min walk..